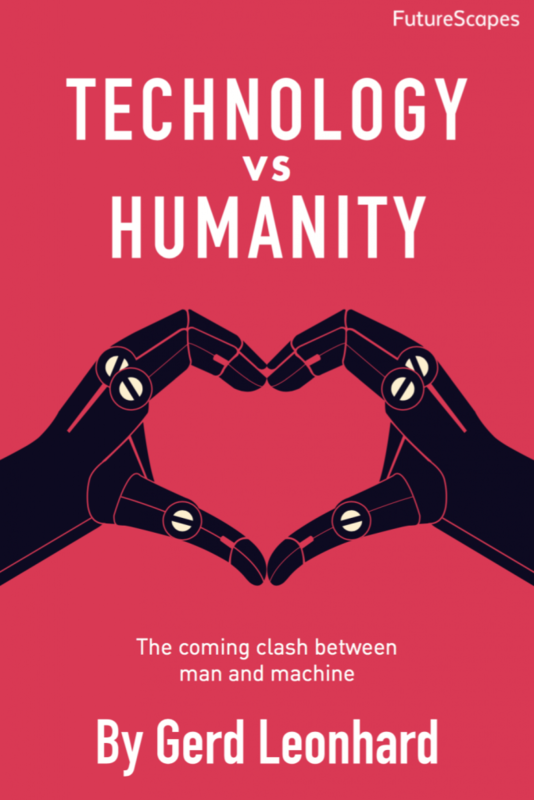 Futurist Gerd Leonhard breaks new ground again by bringing together mankind’s urge to upgrade and automate everything down to human biology itself with our timeless quest for freedom and happiness. Before it s too late, we must stop and ask the big questions: How do we embrace technology without becoming it? When it happens gradually, then suddenly the machine era will create the greatest watershed in human life on Earth. Technology vs. Humanity is one of the last moral maps we ll get as humanity enters the Jurassic Park of Big Tech. Artificial intelligence. Cognitive computing. The Singularity. Digital obesity. Printed food. The Internet of Things. The death of privacy. The end of work-as-we-know-it, and radical longevity: The imminent clash between technology and humanity is already rushing towards us. What moral values are you prepared to stand up for before being human alters its meaning forever? Gerd Leonhard is a new kind of futurist schooled in the humanities as much as in technology. In his most provocative book to date, he explores the exponential changes swamping our societies, providing rich insights and deep wisdom for business leaders, professionals and anyone with decisions to make in this new era. If you take being human for granted, press Reset now with this passionately argued call to create a genuinely braver new world.